Custom exterior banners - Full color custom banner solutions for your next corporate event, trade show or interior/exterior banner sign needs. 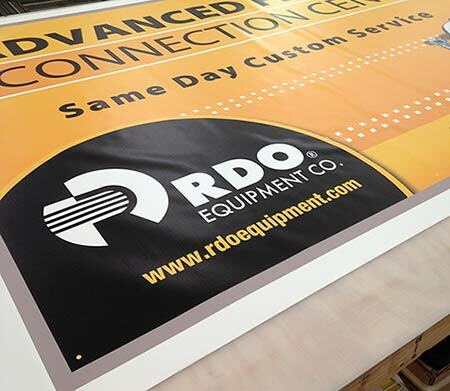 Our 18 oz custom banner is suited for heavy-duty exterior use. See our 13oz. Banner for interior or light-duty applications. Our web site offers suggested sizes! See something close? Just let us know the exact size banner you need and we will work with you! Need assistance? Call us at (701) 526 3835. Choose a banner size to display quantity discounts on this product page! Note: Quantity discounts only apply when design is exactly the same.